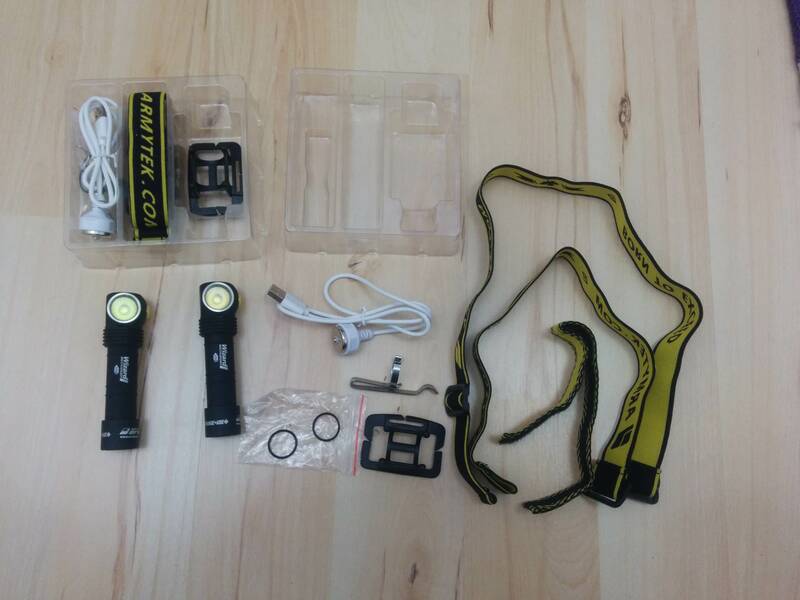 These Armytek Wizard Pros Magnet/USB were provided by Armytek for review. 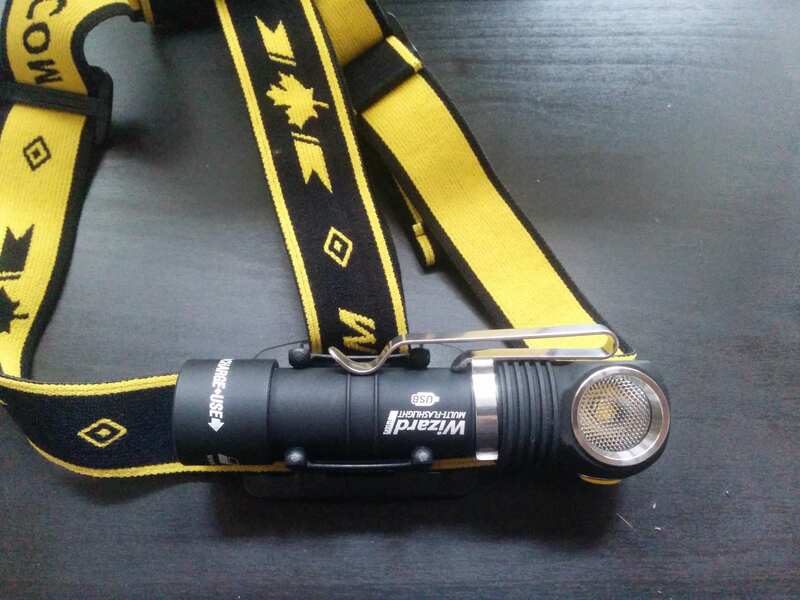 Use coupon code BLF8 for 10% off regular-price flashlights at armytek.com and armytek.ca. 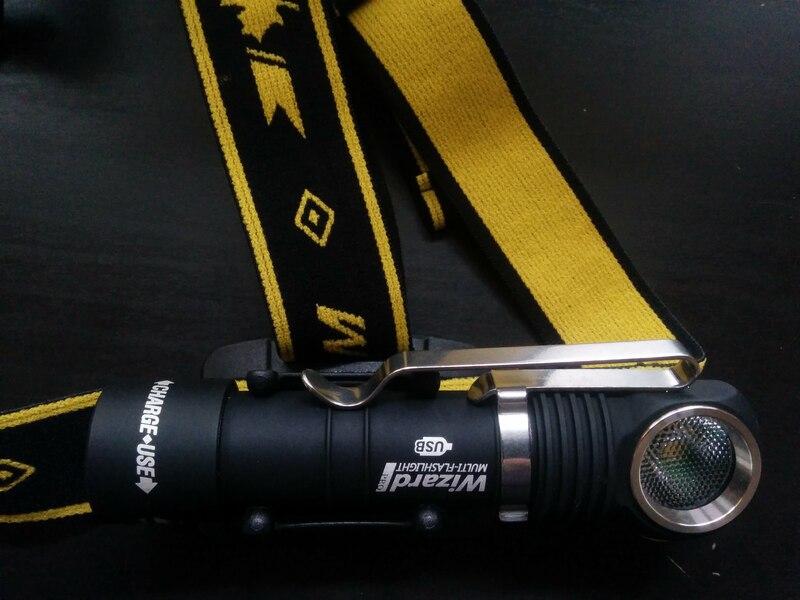 The Armytek Wizard Pro Magnet/USB is my new favorite headlamp. If you think you might want one and you don’t enjoy reading reviews, you can stop reading now and buy it. I prefer the warm tint version. 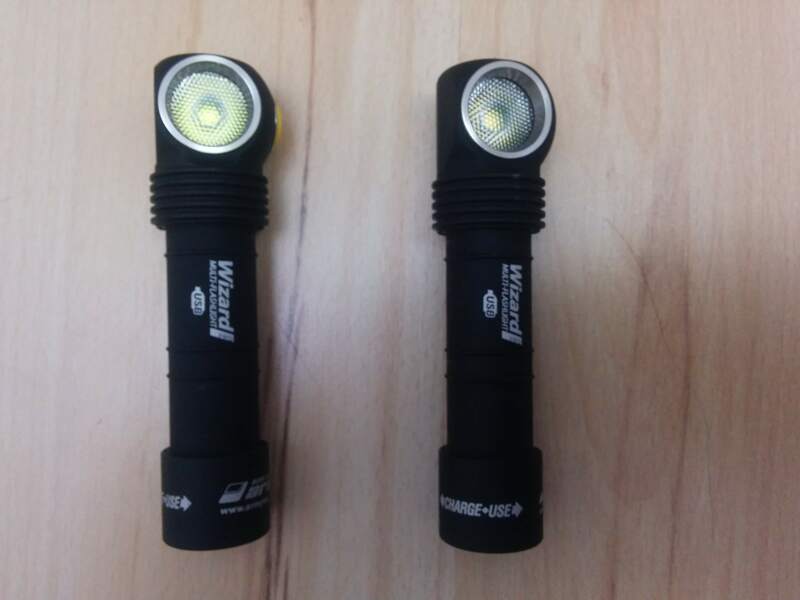 Armytek’s Wizard line of right-angle flashlight/headlamp hybrids have been a staple on /r/flashlight for years. These are the latest iteration with XHP50 emitters for more output, a more comfortable plastic mount in the headband, which allows simultaneous use of the headband and clip, magnetic charging, a battery included and extra cooling fins. Like previous versions of the Wizard Pro, these have a honeycomb TIR optic with a floody beam, boost drivers for stable output on a low/cold battery, smart thermal regulation that attempts to maintain as much output as possible without overheating and a user interface with shortcuts to a good selection of output levels. 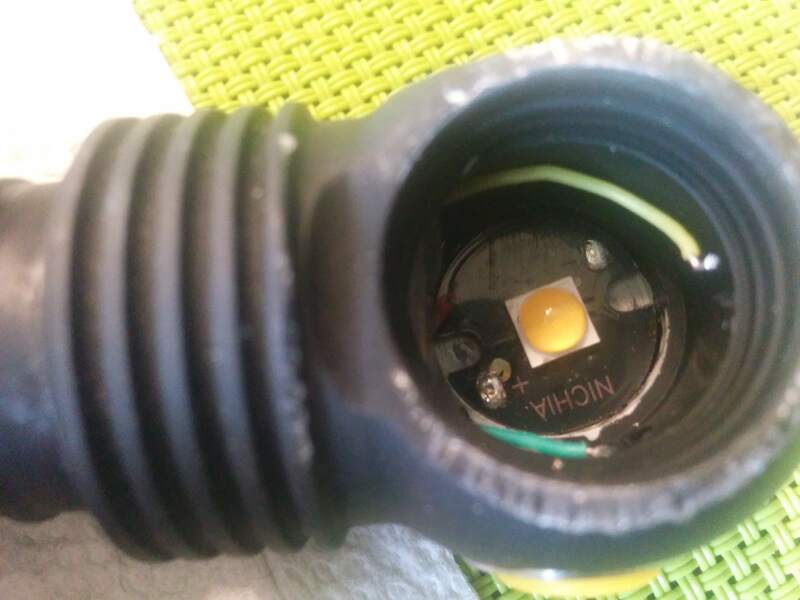 Armytek is known for advertising high impact and waterproofing ratings, but there have been a number of reports of Wizard Pros cracking lenses. The latest version, with cooling fins and possibly some revisions to the head design seem to have fixed that issue. Repeatedly running the lights to thermal stepdown and dunking them in cold water had no effect on the lenses, and they’re now held in place by a very thick o-ring under the bezel. I did manage to crack one, but it required hitting the bezel with a hammer (see modifications section). The new headband design uses a plastic holder that’s much more comfortable to me than the silicone other angle lights, including older Wizards come with. Even better, installation in the headband is possible with the pocket clip installed! I don’t think that’s quite what Armytek intended, but it works perfectly. There’s also an armband, which was a little big for my wrist and not too useful other places. I’m not entirely sure how this would be used, but it’s there. The finish is Armytek’s standard matte anodizing with lots of silver writing. It looks like some of the silver paint got oversprayed on both units, but this wore off over time. 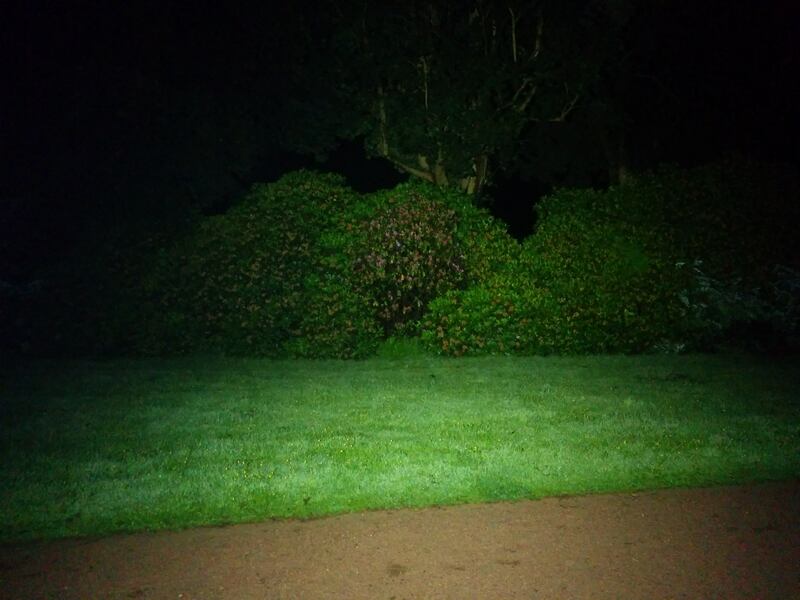 The beam is broad relatively even with a gentle gradient from bright in the middle to dim near the edges. The cool tint is probably around 5700K and a bit green-biased, but not bad. The warm is 3500-3700K and coppery.  I normally prefer neutral tints, and a bit cooler ones at that, but I found the warm more pleasant here. There is a "tactical" momentary mode that makes the light momentary-only in the last mode used. 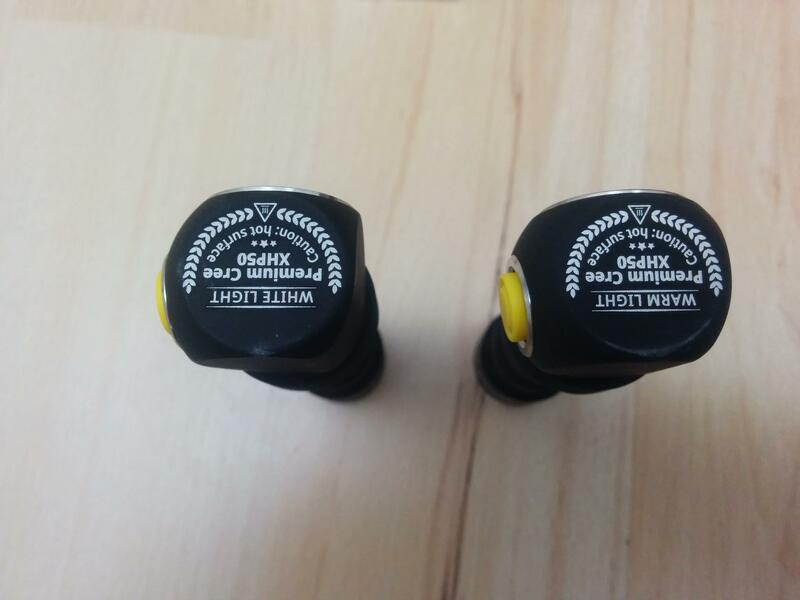 To enable it, loosen the tailcap, hold the button, then tighten the tailcap. To put it back in normal operation, hold the button, then loosen the tailcap. 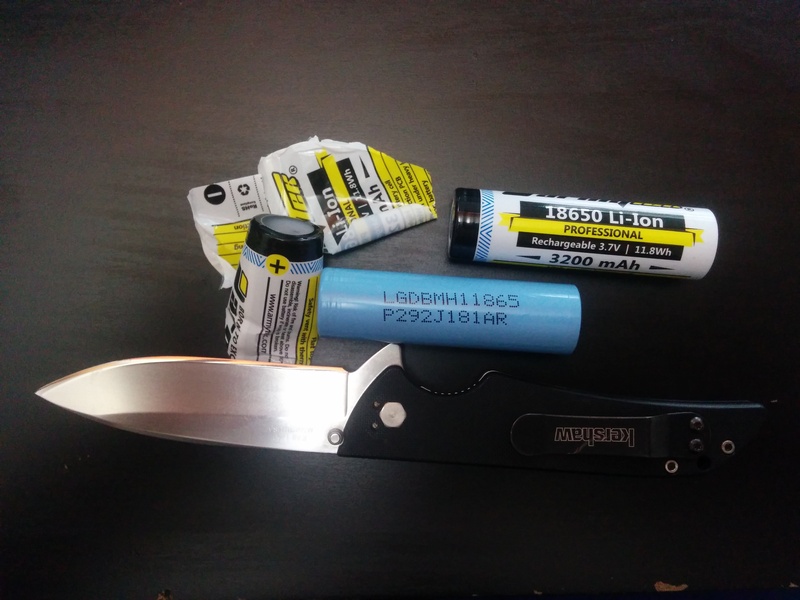 The included Armytek branded unprotected battery is an LG MH1. This is a good medium-drain battery, but the Wizard Pro will start reducing output earlier with this battery than it would with a high-drain battery like the LG HG2 or Sony VTC6. This reduction in output means the Wizard Pro should be safe even for a careless or uninformed user with low-drain batteries. To charge the battery, the tailcap must be loosened slightly to break the circuit. The charger is then attached by magnet, effectively inserting it into the circuit. 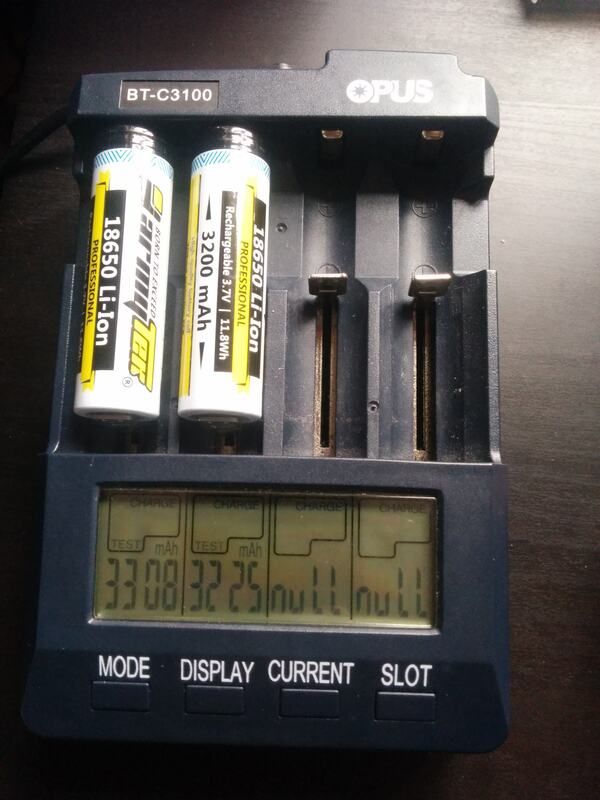 The charger delivers 30mA when shorted through an ammeter and only increases current upon detecting that it’s connected to an appropriate battery, so it is not hazardous. The charger will blink red if an abnormal condition such as a tight tailcap or a short is detected. When charging, it is solid red, and when charged, it is green. Charging is slow, taking over 7 hours for the included battery. This is fine for both overnight charging and occasional top-ups in a vehicle while using the light at stops, but heavy users should probably carry spares and charge batteries in a dedicated charger. Current when shorting the loosened tailcap is whatever current the driver would get with the tailcap tightened. 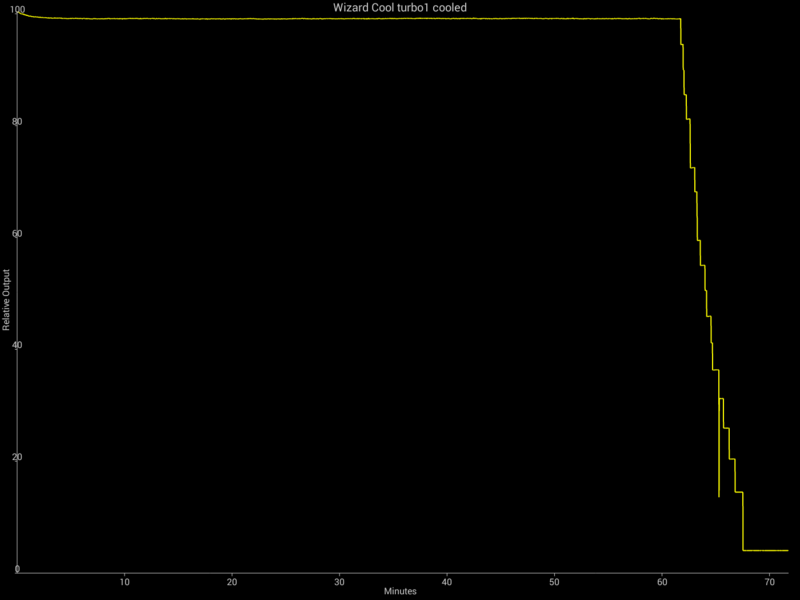 When off, this isn’t a problem, however the Wizard Pro remembers that it was on. In turbo2, up to about 7A can cross these contacts and that is enough to cause problems. In particular, it’s enough to ignite substances that are both conductive and highly flammable such as steel wool. 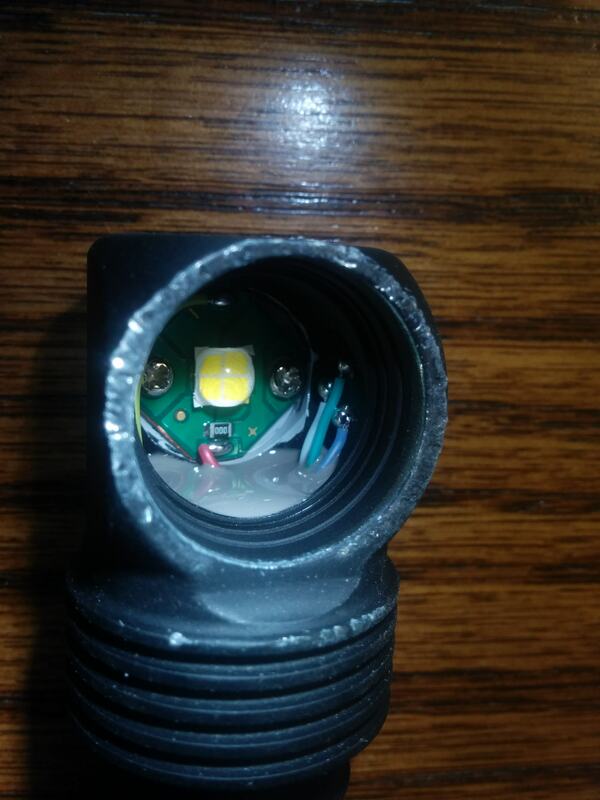 This could be easily fixed by having the light turn off when it loses power, and Armytek should. 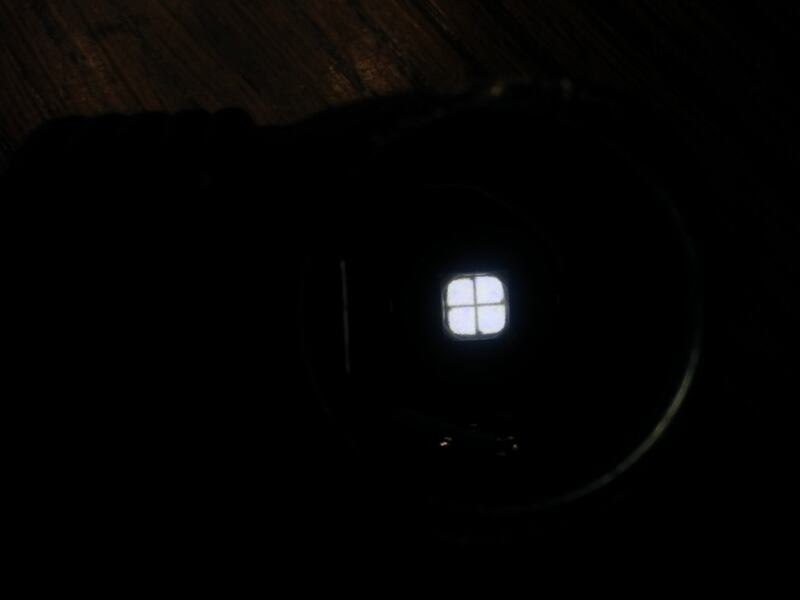 When loosening the tailcap as a lockout, it’s a good idea to switch the light to firefly1, then turn it off. This still doesn’t make a dangerous short impossible, but it becomes extremely unlikely. Note that advertised runtimes are based on thermal throttling in the higher modes and these tests are water-cooled for modes that resulted in thermal throttling. This results in shorter runtimes. Runtimes do, however fall a little short even in modes that shouldn’t throttle. Current readings were taken with full batteries and may be a little optimistic, as power draw will increase as the battery drains with a boost driver. All tests were conducted with an LG HG2 3000 mAh 18650 battery unless otherwise noted. While the cool white version was pretty close to advertised output, the warm white was not. Interestingly, this doesn’t seem to be a matter of its efficiency being lower than predicted, but its current. Under most circumstances, I’d call being driven at less than the advertised level a flaw, but in practice, the warm white provided similar useful illumination and did it for longer without overheating. I’d rather have a Wizard Pro that isn’t driven quite so hard, but I don’t know that there’s any consistent pattern to this. In addition to the measurable current on lower levels, the cooled runtime and time to thermal stepdowns in higher modes indicates the warm model just isn’t driven as hard. 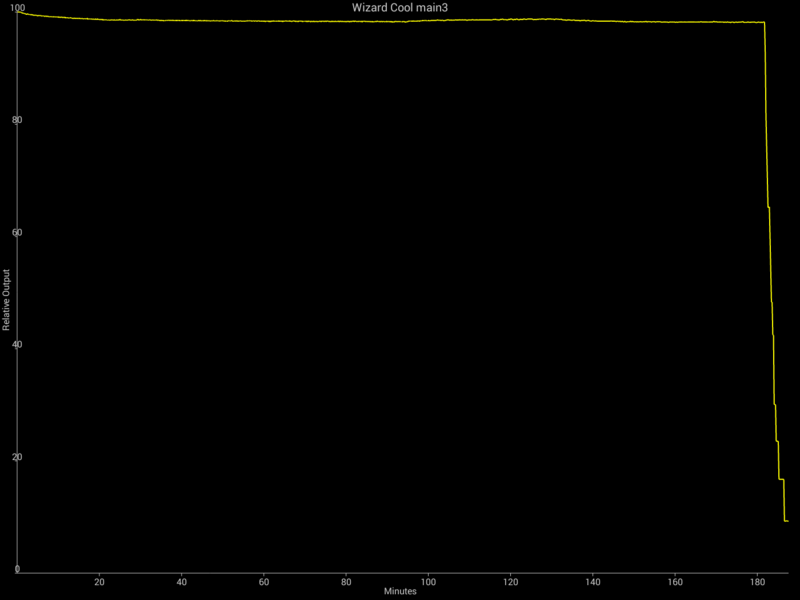 Turbo2 generates a lot of heat and water cooling was necessary to generate these graphs. In all cases other than immersion in water, turbo2 is only sustainable for a few minutes before being significantly reduced. Real-world conditions outside of diving (not recommended despite the high submersion rating) or non-enclosed motorized vehicles in freezing weather are unlikely to prevent at least some thermal stepdown. 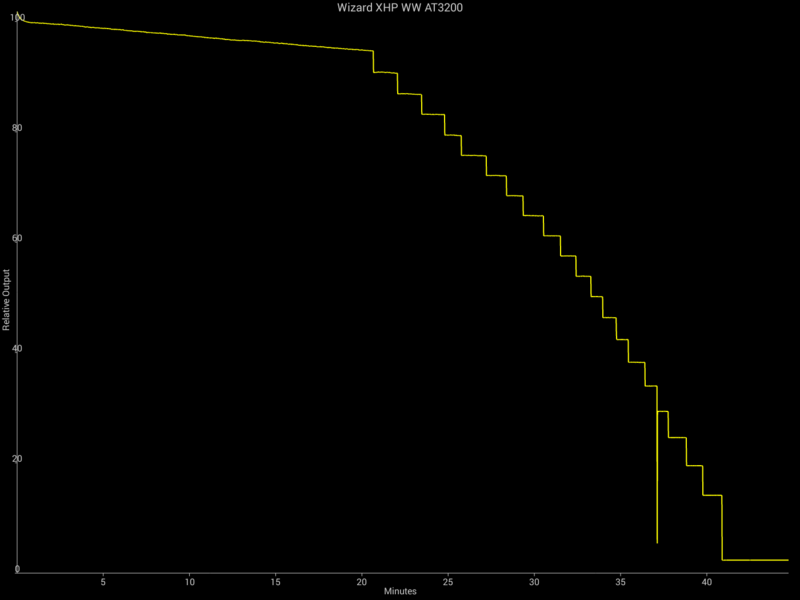 There is no sign of PWM on any mode. For pocket carry, the Wizard Pro is a bit bulky compared to some other right-angle lights. The pocket clip is intended for head-up carry, and most of the bulk is at the top where it’s less noticeable. 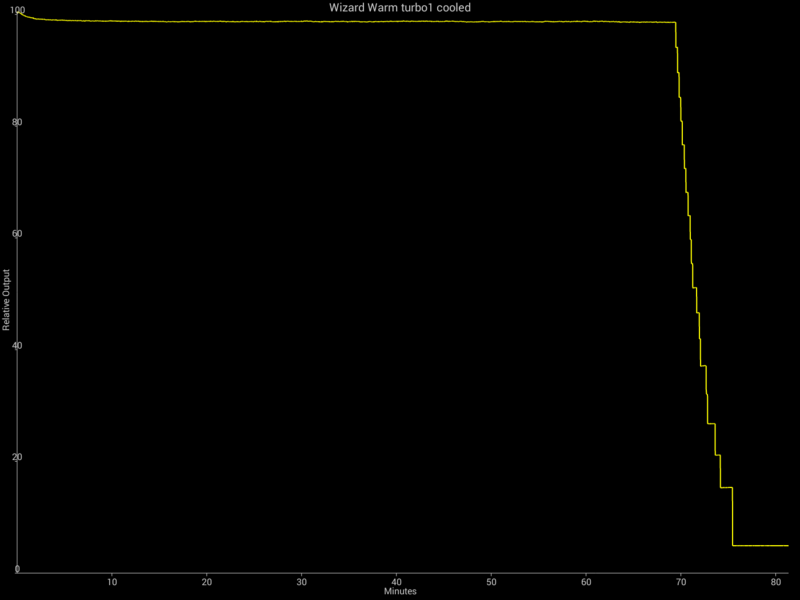 While usable, I think Wizards are better suited for use as headlamps, a role in which they excel. The new plastic holder makes the Wizard’s headband the most comfortable in the industry for a 1×18650 right-angle light.  Pressure on my forehead is evenly distributed, and the light doesn’t move around much even when running or jumping. To make it even better, it’s usable with the pocket clip installed. I’ve always found removing the pocket clip when switching between pocket and headlamp use annoying, as the clip is likely to get lost. Though it’s not quite the placement in the holder I think Armytek intends, installing the light this way causes no issues. The pocket clip sits fairly deep. The head is a bit bulky for pocket carry, but not as bad as I expected when carried head-up. It’s not really meant to be carried head-down. In some positions, the switch is a bit too easy to press by accident in the pocket, but in others, it’s fine. I would recommend some experimentation if you want to pocket-carry a Wizard Pro. 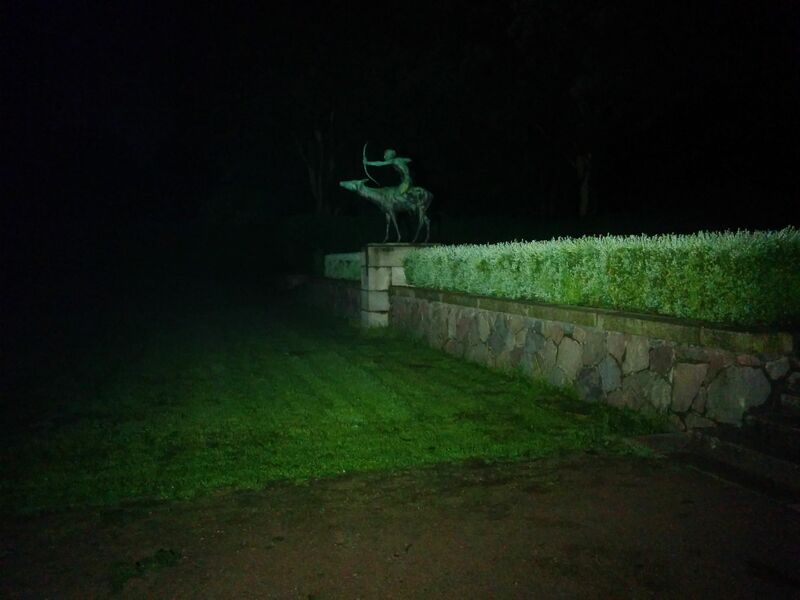 This light is, however at its best as a headlamp. Of course, there are lighter weight headlamps on the market and users who are particularly sensitive to weight might prefer a less rugged model with a smaller battery. There have been some well-documented issues with Wizards prior to this generation cracking lenses and having driver reliability issues. I believe the lens cracking problem has been corrected. I subjected my test units to thermal stress by running them on turbo2 until the indicator light blinked red, then immediately dunking them in cold water, repeated 5 times each. There were no issues. 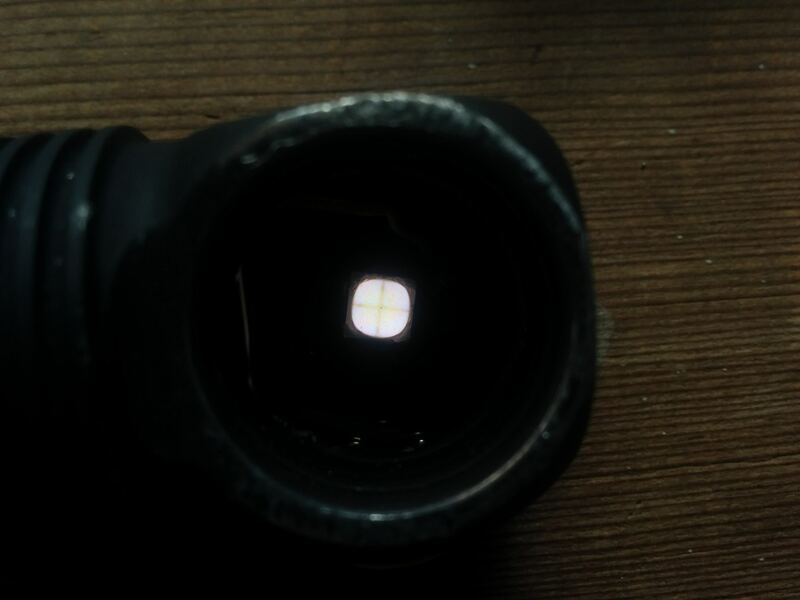 Upon disassembly, I found a very thick O-ring between the bezel and the lens. Additional features contributing to durability include a glass lens in front of the plastic TIR, a fully potted driver and double O-rings on the tailcap. I can’t speak to all models and especially not the first XHP50 Wizards, but the current version with magnetic charging is one of the most heavily built lights I’ve struggled to disassemble. I’ve decided to start including modifications in reviews. Some people just can’t leave well enough alone, and I’m one of them. The Wizard Pro uses a press-fit bezel that is very tight, and ribbed. 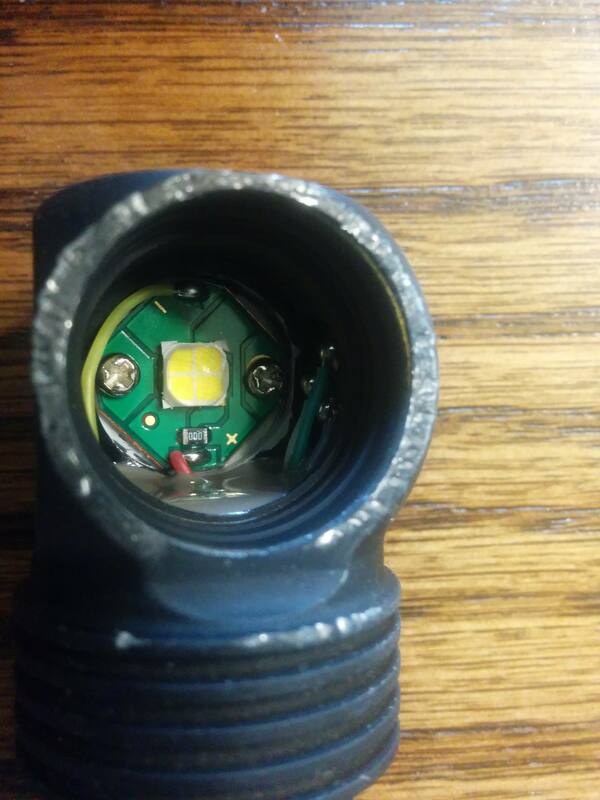 I’ve taken apart a Zebralight with no noticeable impact on the finish, but that was not to be the case here. Getting the bezel out required a variety of razor blades, screwdrivers and similar, and securing the light in a vice. There was significant scratching and some gouging of the area around the bezel and the bezel itself. Some reports I’ve read suggest earlier Wizards are easier to get apart, but some of those had issues with lenses cracking. After getting the first one open, I found a somewhat more effective strategy: place the Wizard in a vice, sharpen a screwdriver, then tap it between the bezel and the body with a small hammer, working around the whole bezel. It should then be loose enough to pry out with a more sturdy screwdriver without too much damage. 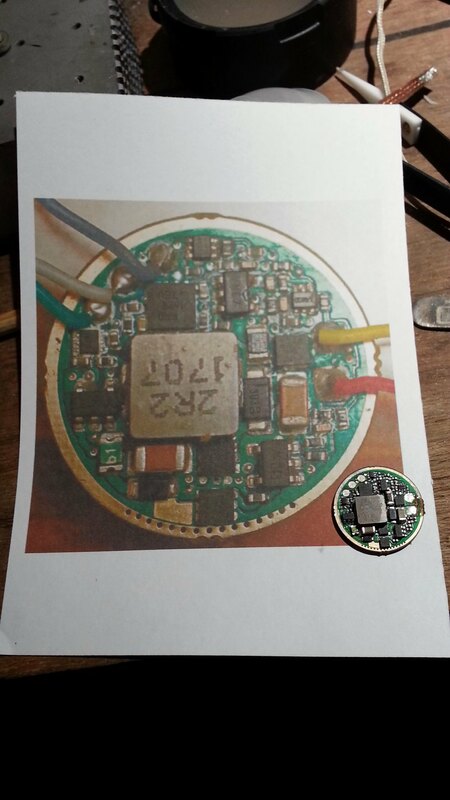 Once inside, I found heavily potted electronics and the XHP50 emitter on a fairly standard looking MCPCB. 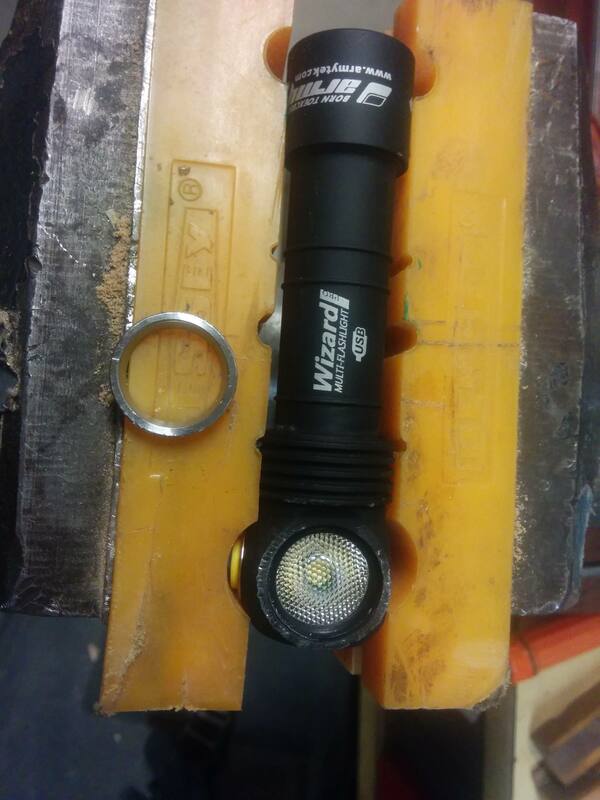 I was about to have something rather exotic: perhaps the world’s first Wizard Pro with a Nichia 144A (4500K, 90+ CRI). 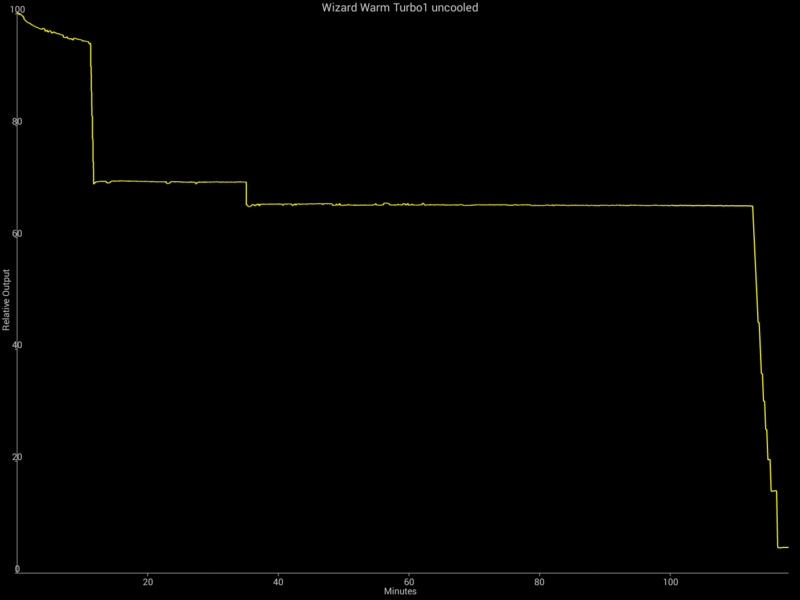 Once I got the emitter flowed to its proprietary MCPCB with no shorts, installation was easy. 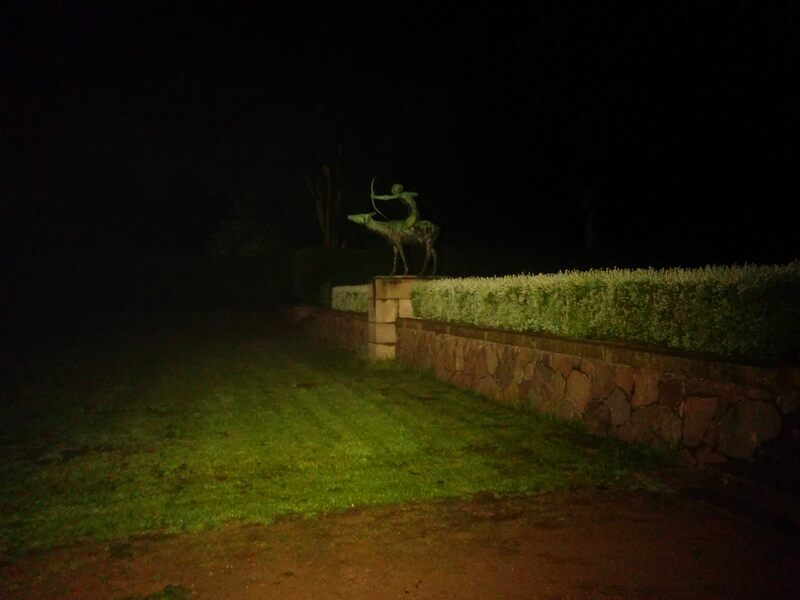 I turned it on and got a beautiful beam, but it wasn’t very bright compared to the XHP50. 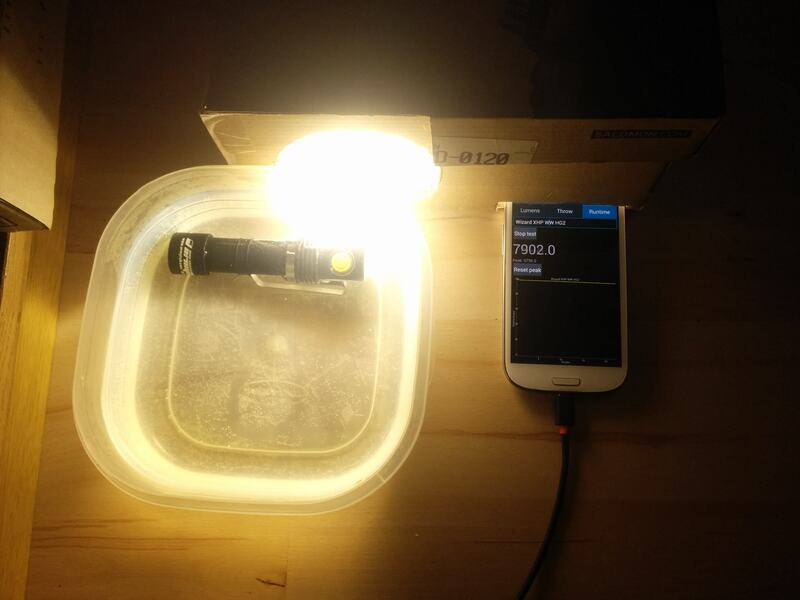 I measured about 800 lumens, which, when cooled it can maintain for 70 minutes. 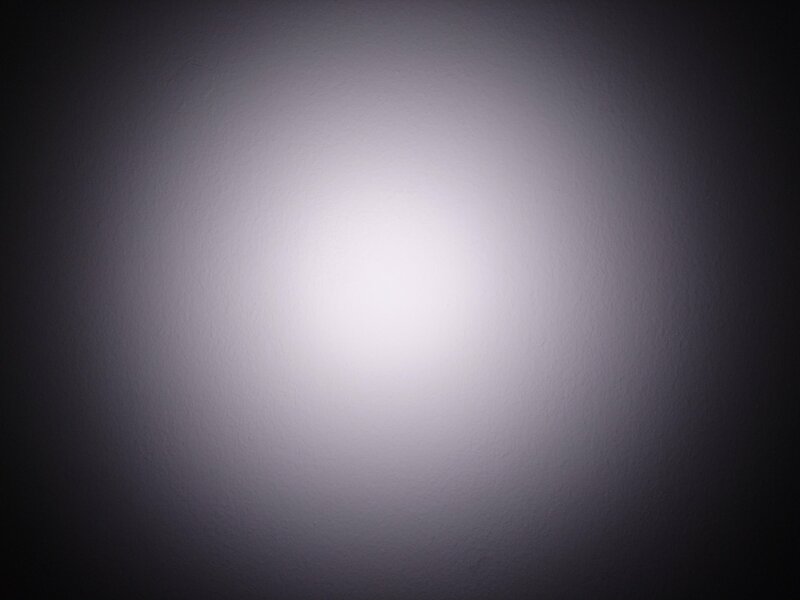 That’s quite good efficiency – far better than a Zebralight H600Fd, for example, and with higher CRI. Very astute observers looking at the original MCPCB may have already figured out what was going on. 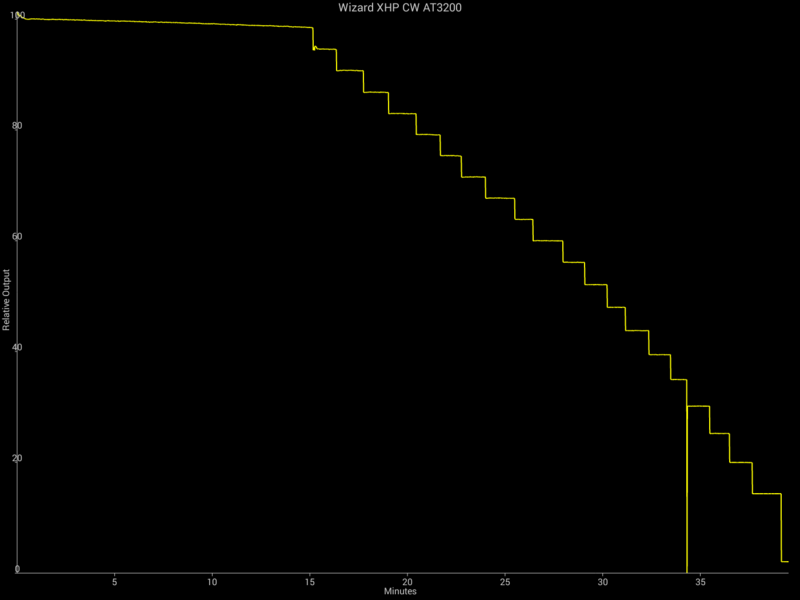 Armytek is running the XHP50 at 12V, which is configurable in the XHP50/70 by the pads on the MCPCB. As this boost driver is current-regulated, it has no trouble handling a 6V 144AM and offsets the efficiency penalty of the 144A’s higher CRI. As turbo2 is a burst mode in most conditions with the XHP50 and reasonably easy to cool with the 144AM, I think this is worth it, but I’ll be keeping my eye out for a 12V 144AR to get that wow factor back. I’ve said it before, and now that I’ve tried it, I’ll say it again even more emphatically: Armytek should be making a factory Wizard Pro 144A – one with the correct voltage for the driver, of course. It’s a perfect match for the floody TIR optic and the light it produces is wonderful. I moved the 144A to the harder-driven cool white host, which seemed like a great fit for its effective halving of drive current. When I pressed the bezels back in with a vice, I found the warm white host wasn’t sitting as flat as I wanted, so I tried to tap the bezel down farther with a hammer. This cracked the lens. I’ll be seeking a replacement for it eventually, but the 144A unit is sure to see more use. You’re a monster. What kind of work are you in that you have to test the possibility of hammers being thrown at your head? Is there another way for you to boil water for tea? Or did it just amuse you to hold its head under the water until the bubbles stopped? If I had the light for review, I would have had a gently focused breeze from the a/c directed at it while it layed on a bed of feathers, listening to Brahms or Bach. Other than that, great informative review. 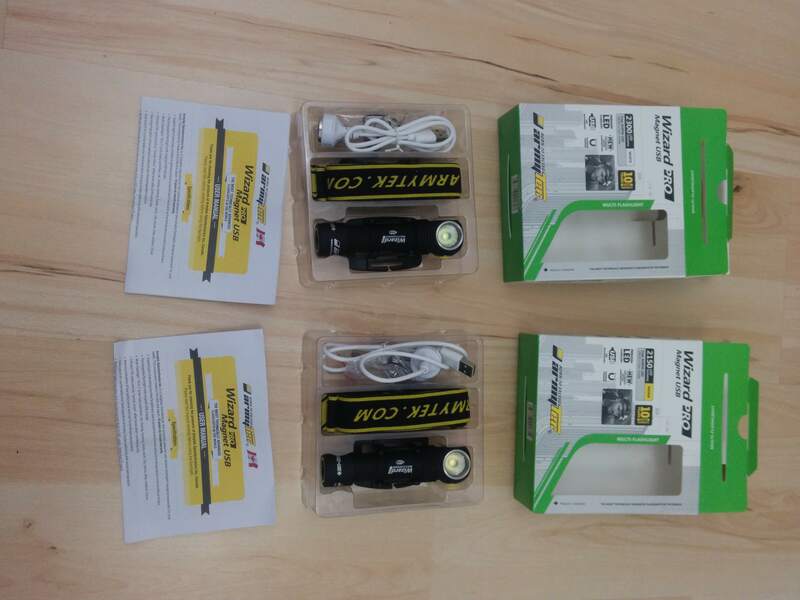 Hey, Armytek says they’re tough, so I beat on them to see. Besides, a gentle breeze from the AC isn’t enough to keep it from stepping down. The only way to see what the driver can do is to immerse it in water, or maybe subject it to freezing rain. I didn’t have any of the latter.  I didn’t mean to break the lens though. I was just trying to re-seat the bezel, forcefully. Armytek could have avoided the whole situation if they’d put a 144A in it to start with. Their choice of emitter forced my hand. I have the first version of the XHP 50 without the USB charging. I’ve had it about a year now and so far it’s given me no problems. That said, I very rarely use turbo 2. It just gets very hot, and way too fast in that mode. I mainly use mine on the brightest mode on the second group for close up electronic work. Concerning how I use mine, I anticipate I’ll never have an issue with it. I like this style of review. A review can give you the knowledge you need to buy a light, but a tear down teaches a man to fish. This is the kind of review style I like. Check, test, review, tear down, modify, test, and review the mod. Thanks Zak, in my opinion, this 6V 144AM makes the Wizard much more practical for daily uses (not because I sell the 6V version). 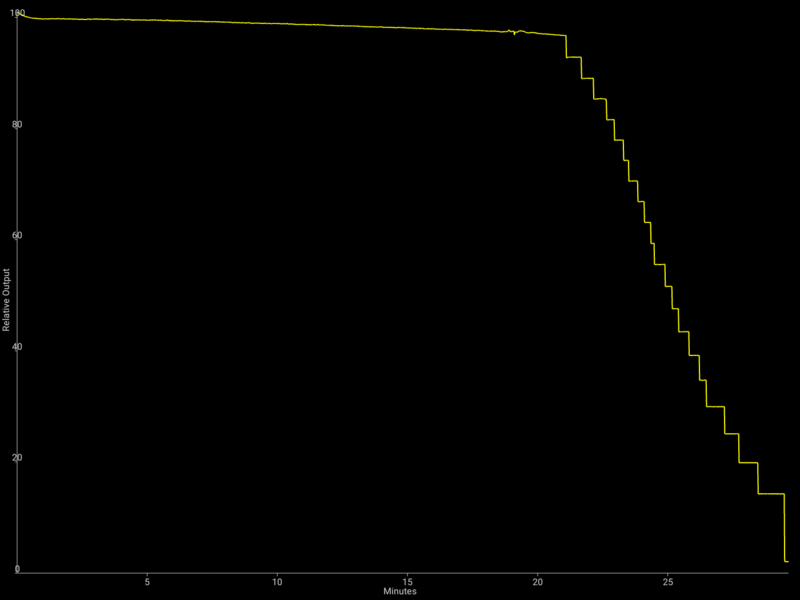 Also,boosting up to 6V should be more efficient than to 12V. Looking from your result numbers, are those firefly modes unusable after? 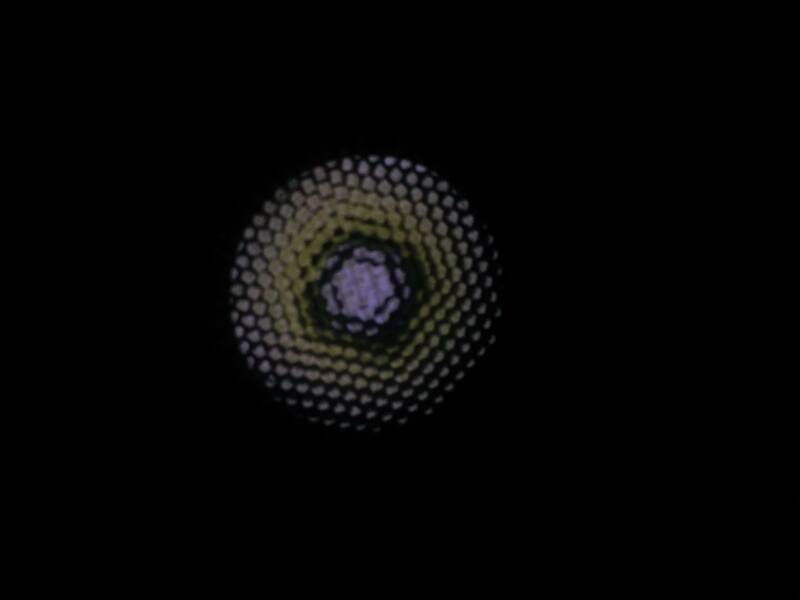 Firefly1 is totally usable in absolute darkness. 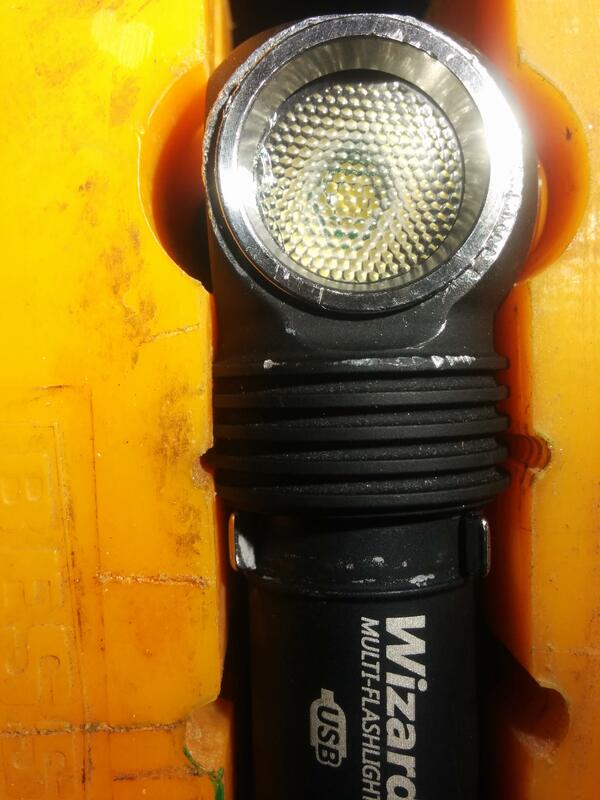 “…I have just got the update from our engineers and they state that there is no way to ship the flashlights without bezels as this is a joint construction and there is no way tot ake it apart. Over on reddit, we’ve been telling them NV4L144AR sm435 R9050 E900 for months. Their official account even started an interest list. Of course, we both know it’s false that the bezel can’t be removed. It just requires use of sufficient profanity. Thanks for pointing that out, and also to put the lead on this. The problem is 4500K is not my favourite CCT. It would be interesting to see how they come up with the MCPCB though. Can’t please everyone of course, but it seemed like a good choice for a limited run product because Armytek usually only has warm and cool, not neutral. Also, not many people hate 4500K even if they would rather have something else. Yup, it’s in the neutral stance. I have no reddit account. Could you make one interest vote for me? You think AT may release a Wizard Nichia limited edition? 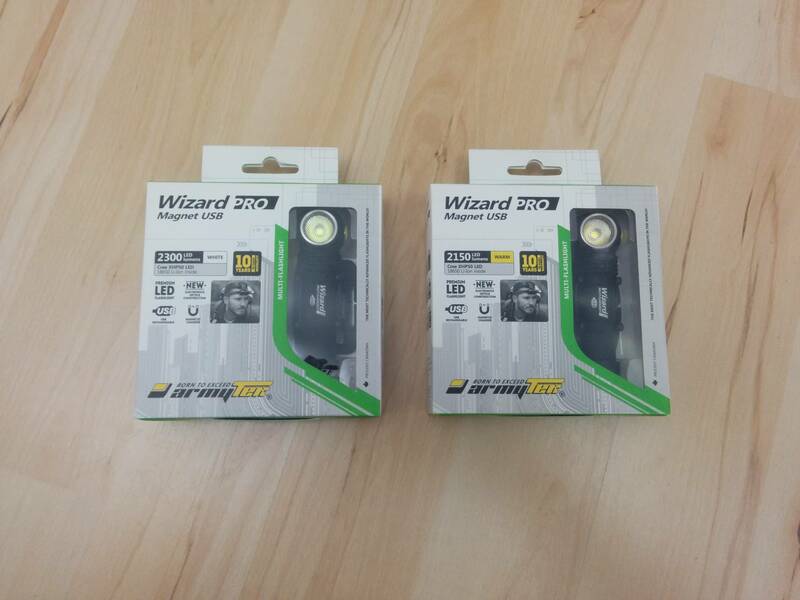 So far, the Wizard is the only headlight that provide heavyduty potted driver, strong magnet and integrated usb rechargeable circuit… Sadly, no true high CRI from them. With some luck, expect special Nichia equipped Wizard Pro coming. Zak already arranged a limited run for this. I don’t mind potted driver as long as the driver perform better than what it is now. I expect better more efficient driver with thicker lead wire in future Wizards/Prime lineup. Since the LED technology is moving at fast pace, a threaded removable bezel is a good selling point. This way the user can select any CCT/tint they want with simple LED swap modification. 16mm MCPCB instead 14mm should also make life easier for modders. I really like Armytek for it’s design style, finish, toughness, and features. What I don’t like are: unreliable inefficient potted driver, pressed fit bezels, and overly aggressive branding/ornaments/labeling. I just got an email from Ylona from Armytek. She said the production is currently on hold because the China factory laser engraving machine is currently under repair. And so does my custom order…. I don’t think anyone would miss the laser engraving. 5700K, it’s the best all around CCT. I find 3000K too yellow for every close-up works with colored cables. Received mine today. It’s a very nice headlamp apart from all it’s limitations you described above. The tint is way too rosy to my taste. the color is like pure white for me. 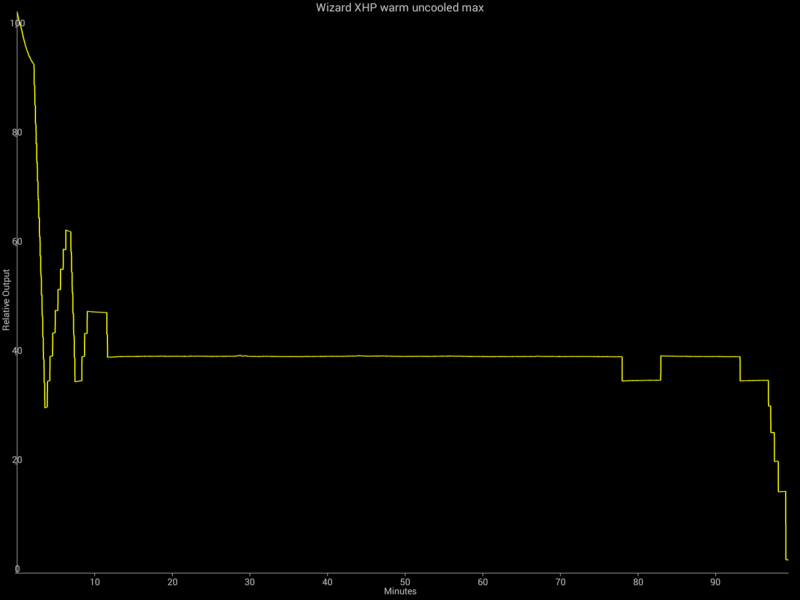 So I went and put an NV4W144AR sm573 E1000 R9050 in my second Wizard Pro that previously had a warm white XHP50. Thanks, Clemence. 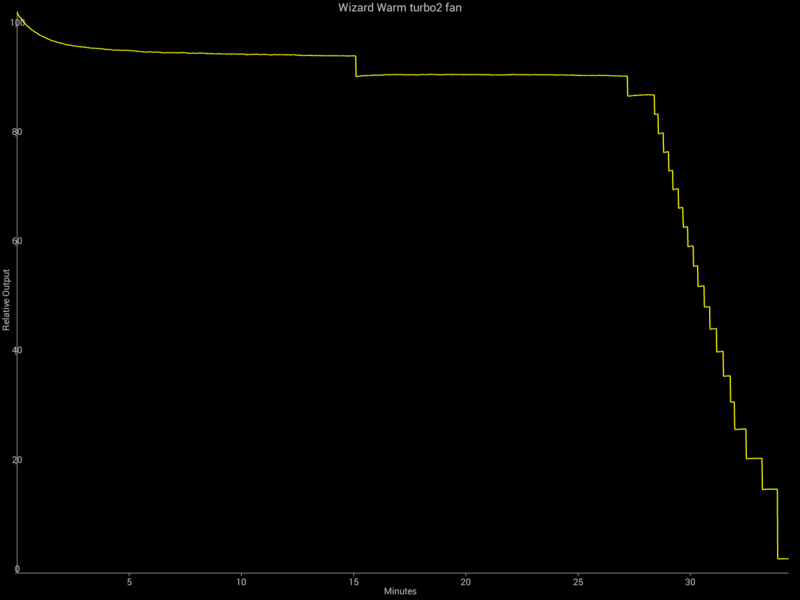 The 6V 144A in my first Wizard Pro makes under 900 lumens, down from 1720. Worth it, I say, especially since that 1720 isn’t very sustainable due to heat. 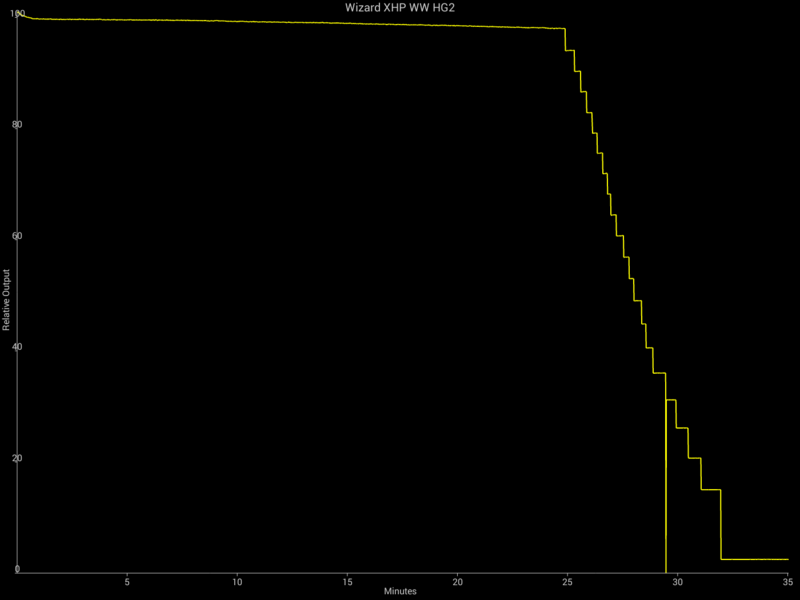 The warm XHP50 had lower output due not just to a lower bin, but lower current in all modes. Practically speaking, I don’t object to that much since max output was unsustainable. 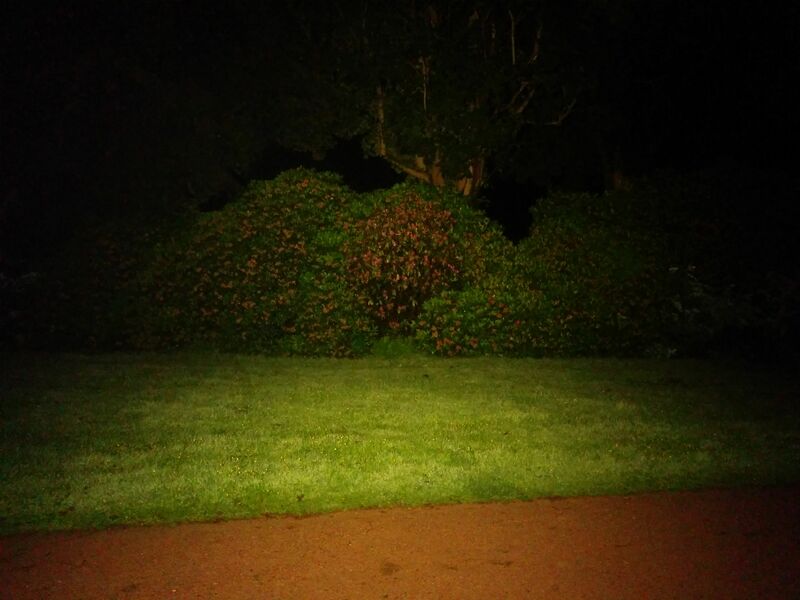 So relative to the warm white XHP50, the 144A gives up 86 lumens to gain a whole lot of CRI. This is very good. I should note that the two Wizards appeared to be a little different in terms of current, with the warm being lower. I think there’s just some variability in production, and using the other sample would have resulted in a bit more output. There’s little practical difference, but I wouldn’t be surprised if Armytek advertises higher numbers on their planned production run. Since you’re going to ask, I don’t have a concrete update on that. I think it’s going to happen, but I don’t know when. 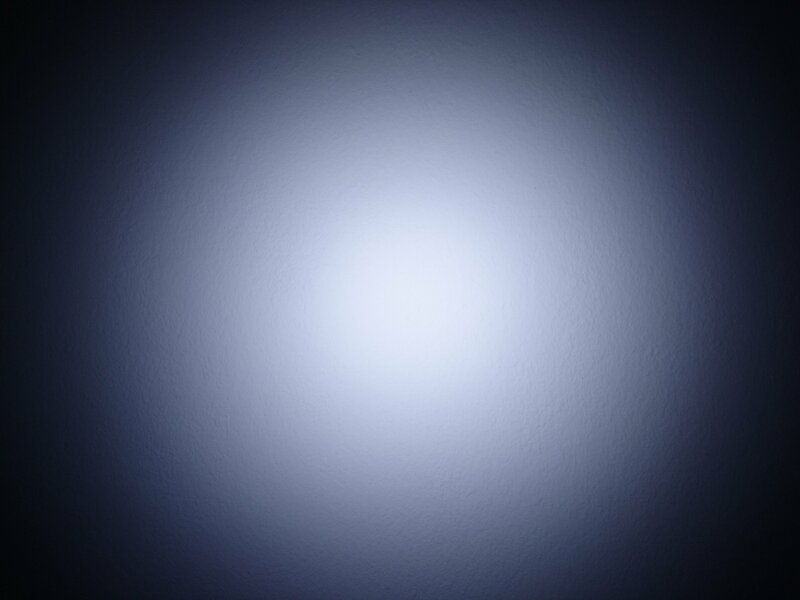 It looks like the color temperature will be 4000K instead of the 4500K we were talking about. It’s also possible that Clemence will be selling built to order Wizards at http://virence.com once his 144A boards come in. But for now, as far as I know I have two of the three 144A Wizards in the world. Isn’t that light hard to hold in your hand. Looks a bit unnatural to me. But I see the uses of the clip and headband. Unfortunately it has an hotspot. Would have liked a bigger battery, but if the runtimes are real then it’s ok. There is no better way of making a headlamp that is also a flashlight without making it bigger or reducing its ability of getting rid of the heat. It has a headband, a clip and a strong magnet. All can be removed. The hotspot is very wide. Without the hotspot the light would have no reach. The runtimes are real. In the bightest modes they can be longer it the light gets too hot (it has thermal regulation). The different terms you mention don’t seem to have clear descriptions except that these lights have a very flat regulation when kept cool. The magnet cannot be removed from the magnetic charging models (except by using the tailcap from the non-charging model). 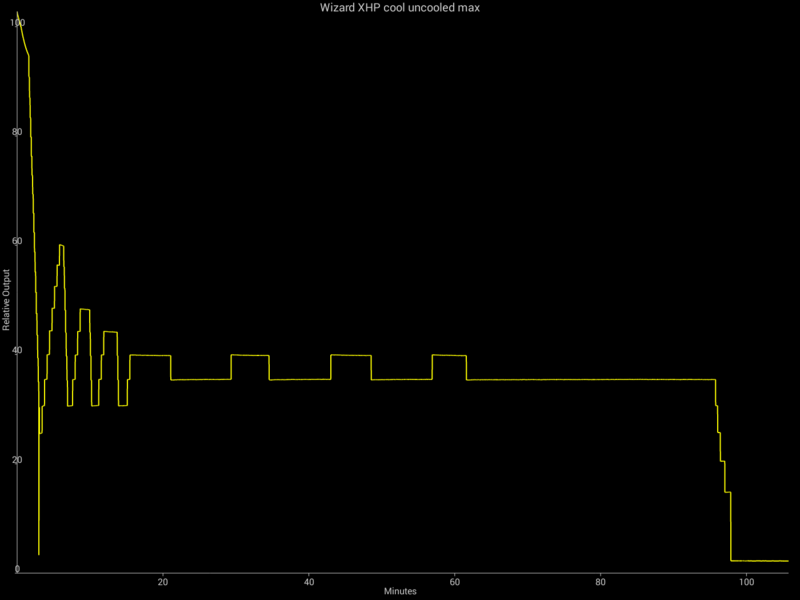 My runtime graphs are recorded as they happened. For the most part, they were a bit shorter than advertised. 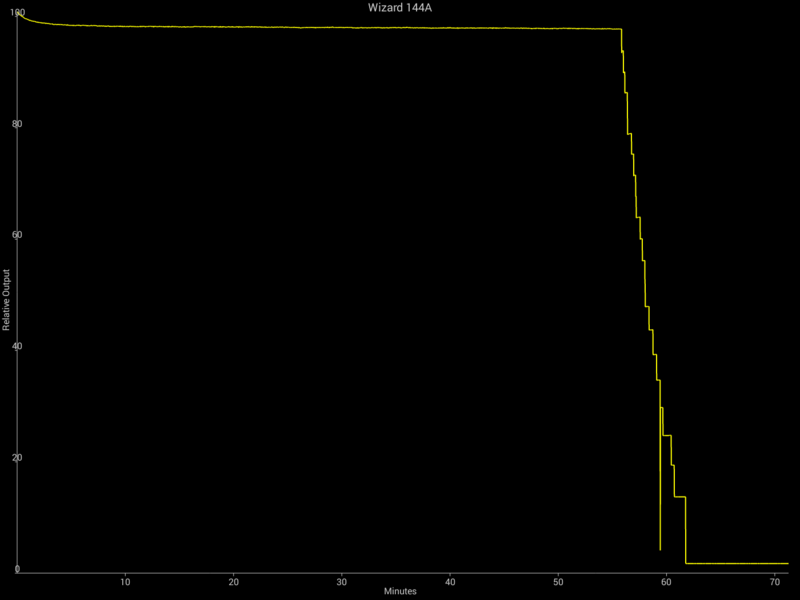 When Armytek says “digital” regulation, they mean that output decreases as the battery drains. When they say “full” regulation, they mean that it does not (unless the light thermal throttles). 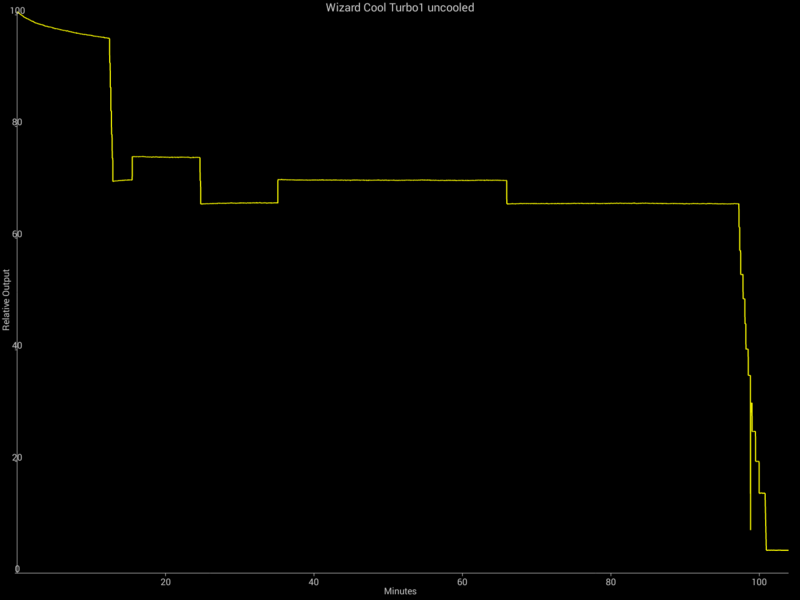 As the graphs show, a sufficiently cooled Wizard Pro has full output in every mode until just before the battery runs out. Ah yes, I forgot about the fixed magnet in the newer models, thanks. It used to be that the pro models hat full regulation in all modes and the non-pro models had full regulation in all modes except for the brighttest one where they started to dim when the battery was half empty. Accidentally dropped the HOT driver off the hotplate today. Aaargh! Spent hours just to put back those micro components back. That’s an… interesting method of magnification. What are you doing to that driver? Oh, interesting. That should be good for efficiency. 144A or E21As?